If there is one word to describe Santa Rosa Beach FL, it is balance. It is rare to find a family friendly beach town with top quality shops and restaurants that is still in tune with the nature around it. You will find people in this town truly appreciate the beauty that surrounds them-from watching sunsets on the beach, to going on runs on the bike path, life just seems simpler in Santa Rosa Beach. With the zip code 32459 stretching over a large area, Santa Rosa Beach covers from the Gulf of Mexico on Highway 30A up to the Choctawhatchee Bay north of Highway 98. Depending on their location, homes sell from $110,000 to $13,000,000, with the higher end tending to be Bay or Gulf front homes. 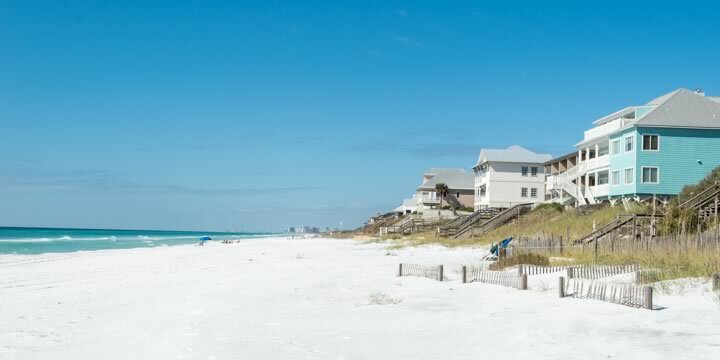 Many of the famous beach communities on 30A, such as Blue Mountain Beach, Dune Allen Beach, Watercolor, and Seaside are technically sub-communities of Santa Rosa Beach. This adds a unique charm, setting it apart from a stereotypical beach town because of its diverse architecture within these communities. "Travel + Leisure" must have agreed, because they named Santa Rosa Beach one of their top five favorite towns in America in 2014. 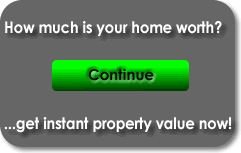 Because of the ultra clear water and stunning white sand beaches, a house, condo, townhome, or mansion purchased here can make a great investment property. With busy season from March to September, many second homeowners decide to rent their home out as a short-term rental to not only cover their mortgage, but make money, as well. Some of the most sought-after neighborhoods in this area are Gulf Dunes, Stallworth Preserve, Seaside, and Watercolor. However, if you are looking for a more budget friendly option, the subdivisions of Escada, Mack Bayou, or Chat Holly are great, family-oriented communities that will not break the bank. When it comes to activities in Santa Rosa Beach, the possibilities are endless. With both the beach and the bay so close together, there is always something to do. Whether you enjoy paddle boarding, fishing, kayaking, or just lounging in the sun, there are activities for every age and interest. If sun and sand is not your style, there are weekly farmers markets on 30A, wine walkabouts monthly in Gulf Place and daily events such as live music or movies in the Seaside grass for the kids. Topsail Hill Preserve State Park is also a wonderful escape to nature with their walking trails, outdoor recreation, and beach access. 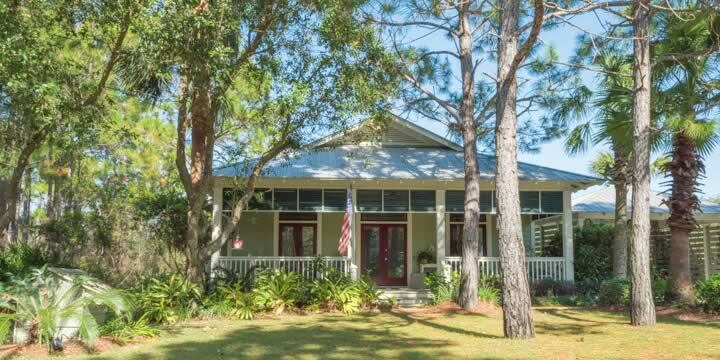 Whatever your interests, acquired tastes, or preferences, Santa Rosa Beach is sure to satisfy with its quaint charm and appeal that has been captivating people for over 100 years. Call Emerald Coast Realty if you are interested in a home in Santa Rosa Beach FL; we would love to help make your dream a reality. Beachwood Villas Condo Ph 2 Bldg.